Dakota Gonzalez is an American basketball player turned Instagram star and singer. She is well known for her song “Nobody Knows” alongside Dylan. The twins names their group Dyl-Kota. Regarding her personal life, she is rumored to be dating singer, Drake. Dakota Gonzalez was born on December 9, 1994, in Overland Park, KS, United States. She is the daughter of Angie and Dave Gonzalez. She has three sisters, Natalia, Dylan and Gaby, and three brothers, Conor, Javier and Stefan. Her sister, Dylan, is a fraternal twin and is also on the Jayhawk roster. Her mother, Angie is a former All-American honorable mention basketball selection at Kansas in 1984 before playing professionally in Germany. She had a keen interest in basketball during her childhood and started to play from the early age. She completed her high school from Highland High School in Pocatello, Idaho in which she received WBCA High School All-American Honorable Mention for her extraordinary basketball performance. Dakota started her basketball career at her high school, where she set the school scoring record with 2,311 points. During her prep career, the team posted a 64-8 overall record with three third-place finishes in the state tournament and a fourth-place effort. Dakota Gonzalez along with her sister, Dylan, was the 2012 Idaho Gatorade Player of the Year co-runner up and also the 2012 all-area co-players of the year. She also Played for Team Concept on the AAU circuit. Additionally, she lettered in volleyball and track and field. Dakota is also an Instagram model. She has been hugely active on social media such as Instagram and Twitter. She has more than 1 million followers on Instagram and she has been regularly posting photos and videos. Besides this, Dakota is also a singer. Previously, she sang a song of Drake named “One Dance”. She has also sung the song “Nobody Knows” alongside Dylan. 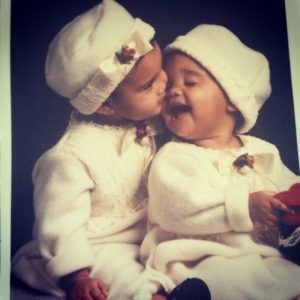 The twins names their group Dyl-Kota. This basketball turned model has currently reached the age of 22 and her amazing looks has been attracting a lot of people's attention. She is unmarried till date but back 2016, she was rumored to be dating Drake. The rumors began to buzz when Dakota was spotted with Drake during the concert. 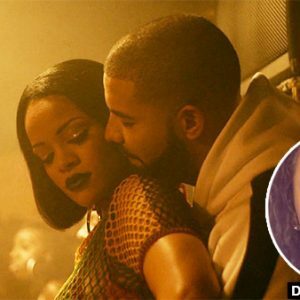 According to the reports, Dakota might be the reason of split between Rihana and Drake. Moreover, the couple was also spotted several times in the public and media. However, the two did not accept it. In fact, the Instagram beauty has not seen with anyone. Dakota is one of the rising stars and she surely earns her handsome salary from her modeling and singing career. However, there is not any report regarding her net worth and salary.